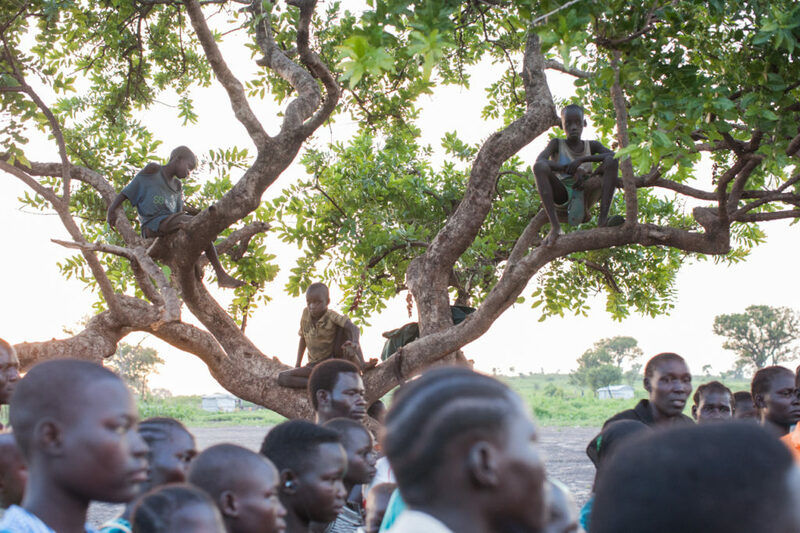 More than a million refugees have fled to Uganda to escape the grinding civil war pitting the majority Dinka against the minority Nuer in South Sudan. Photographer Rita Kabalan visited a refugee community in June 2017. 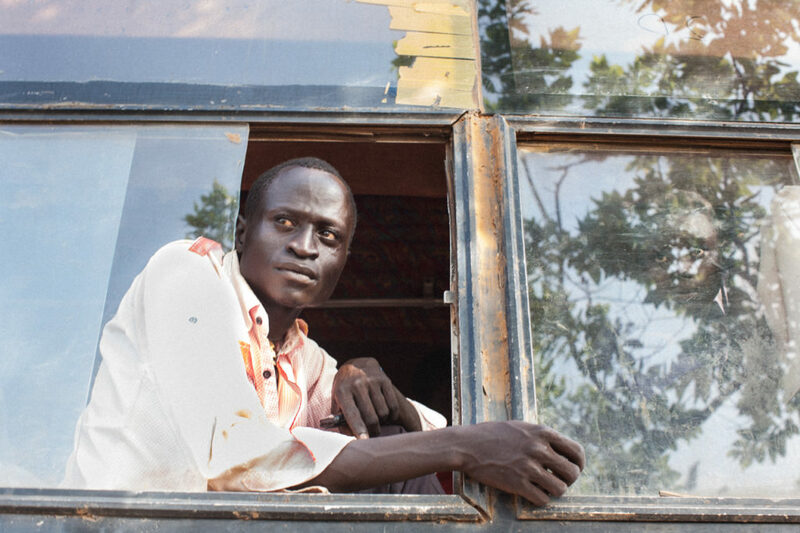 At top — a South Sudanese refugee waits for a bus at the Kuluba transit center just inside Uganda. It takes refugees anywhere between two days and three weeks, some times longer, to reach Uganda from their former homes in South Sudan. 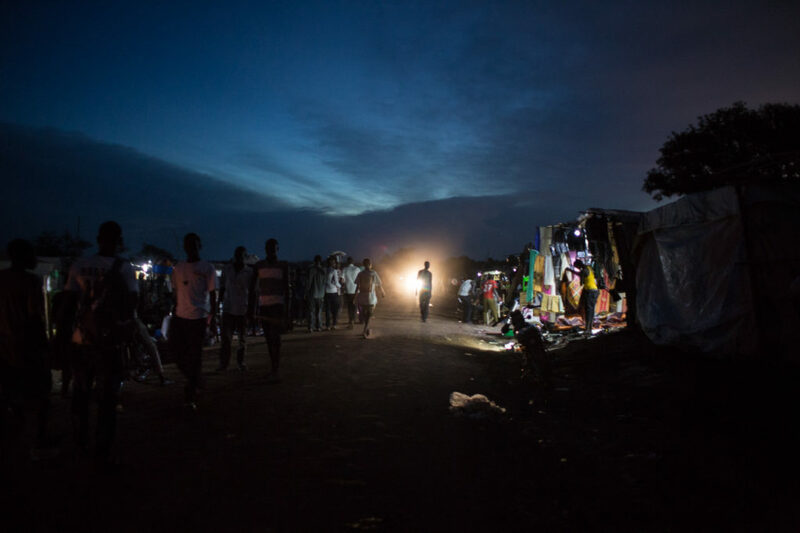 Above — refugees walk through the makeshift market on the main road of the Palorinya settlement. The lights are solar-powered. 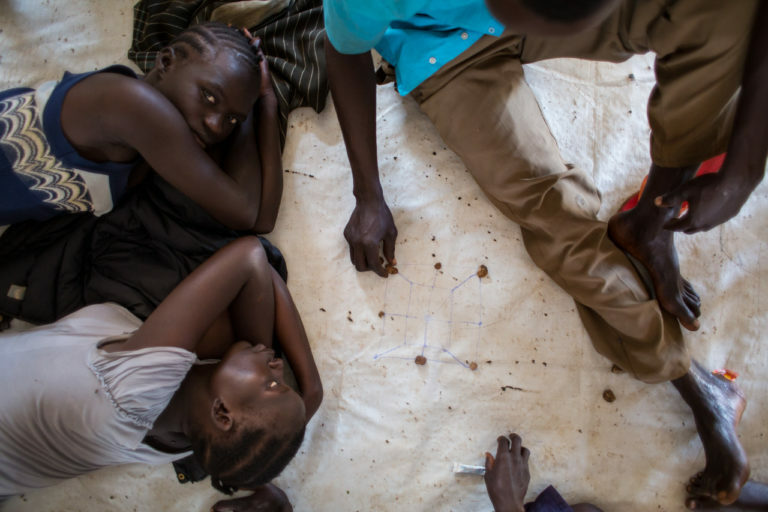 South Sudanese refugees play a game called Wiyung to help to pass the time as they wait for housing assignments. Refugees come to the Imvepi Reception Center in Arua District of Uganda after they’ve registered at the border entry. The process for relocation to a home plot can take five days. The Palorinya settlement in Uganda. 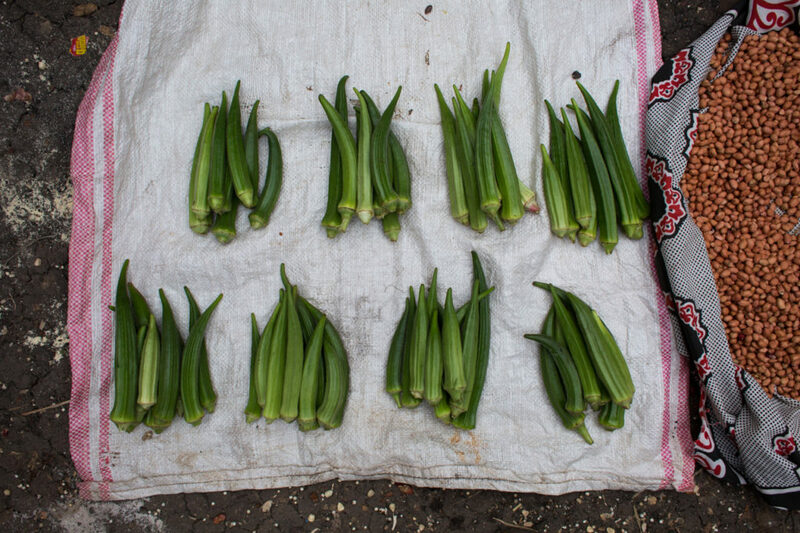 South Sudanese and Ugandan women sell fish, vegetables and grains at the market behind the main road in the Palorinya settlement. 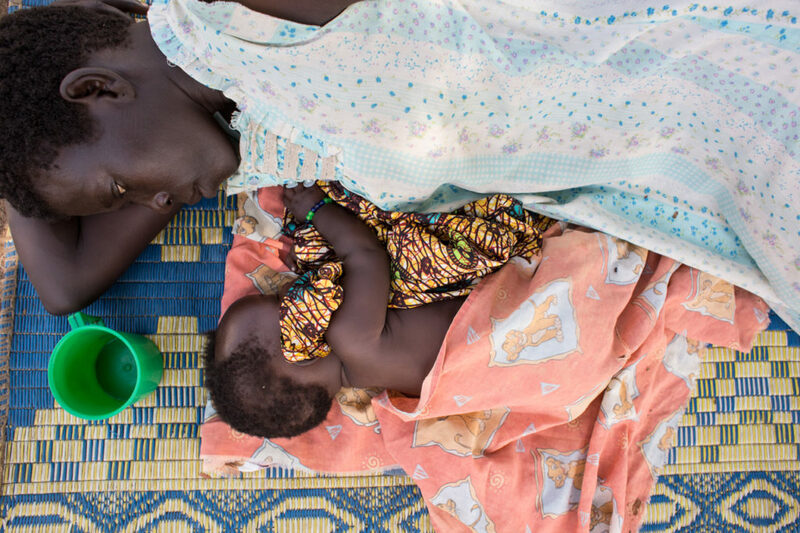 Annette, 22, fled South Sudan after her village was attacked by government soldiers. 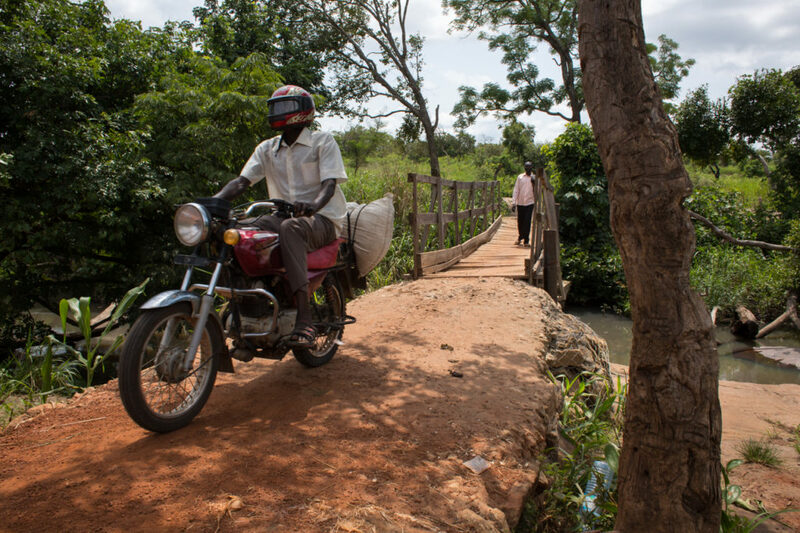 She walked to the Idiwa Health Center while in labor — an hourlong journey. South Sudanese refugees at the Imvepi Transit Center board a bus that will take them to the Imvepi settlement. A woman named Nicodine rests outside the maternity tent, which is open 24 hours a day at the Idiwa Health Center. She has returned due to complications after giving birth. Idiwa sees an average of four births a day. The facility lacks resuscitation equipment, generators, incubators and other vital equipment. 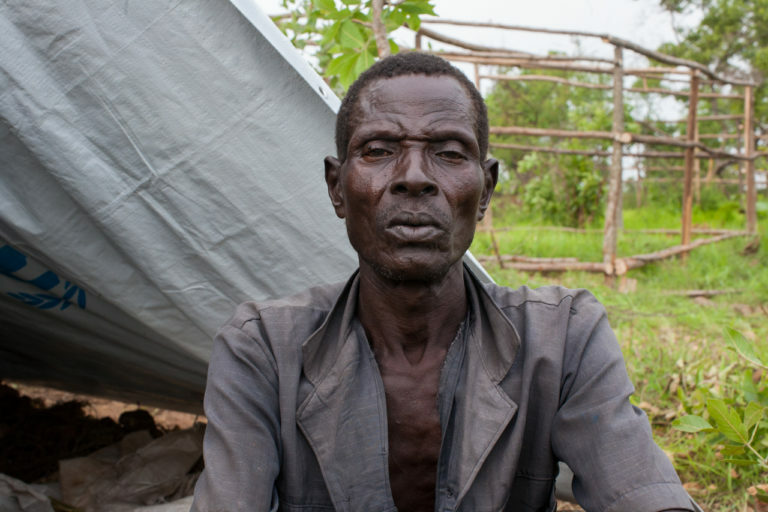 A man named Duku, 60, waits at his temporary tent in the Imvepi transit camp until he’s assigned a plot. His last memory of South Sudan is returning home after taking the cattle out to find his home looted and his wife murdered under a mango tree. 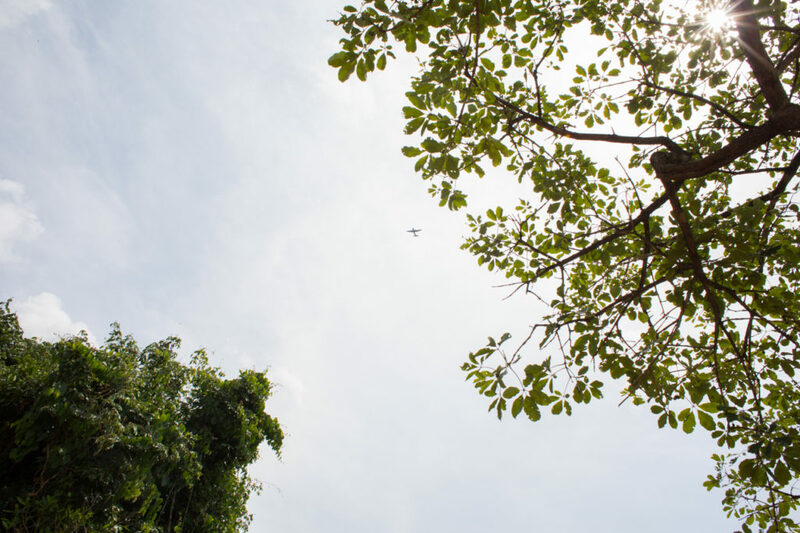 A plane flies over the Kaya River, the border between South Sudan and Uganda at the Busia crossing. A soldier said the plane is from the South Sudanese military — and is looking for rebel activity.